LIBAG, Long Island Beach Access Group: I know we say this every year... But, Thank you for making a difference. I know we say this every year... But, Thank you for making a difference. Volunteers Help Keep Babylon Beaches Clean & Beautiful! On Saturday, September 16, Deputy Supervisor Tony Martinez visited Gilgo Beach to thank the scores of dedicated volunteers who participated in the American Littoral Society (ALS) Annual Coastal Clean-Up Effort at Gilgo Beach. The mission of the ALS is to empower programs focused on advocacy, education and conservation of our precious shorelines and beach areas. 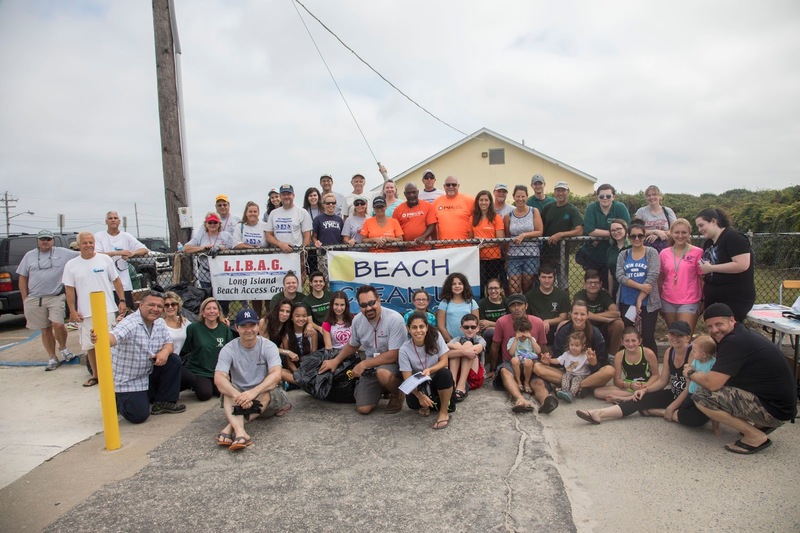 For the past six years, the town’s Beautification Program has partnered with the Long Island Beach Access Group (LIBAG) in coordinating the annual event. Under the direction of LIBAG president Ray Erickson, over 280 lbs. of debris was removed and carefully documented by volunteers from PSEGLI, Copiague Target store, Lindenhurst High School Robotics Club, Robert Moses Middle School Environmental Club, Microchip Technologies, National Honor Society students as well as local residents and beach-goers. Each year, the amount of debris has declined, which reflects the efforts of environmental stewardship by motivated community members and businesses who value our wildlife and the importance of keeping our coastal areas clean and beautiful. All volunteers receive Certificates of Appreciation from Town Supervisor Rich Schaffer for their admirable efforts. I know we say this every year... But Thank You. Thank you for making a difference.